At its most basic level, memory has been conceptualized as a process in which events influence the brain and its future activity (Siegel, 2001). However, memory is presently understood as a multifactorial phenomenon that includes, but is not limited to, the timing of the remembered event (immediate, recent, remote), the type of processing that is activated (encoding, storage, retrieval), strategies used to enhance processing (e.g., rehearsal), the sensory modalities that are impinged upon (e.g., auditory, visual), and context-dependent factors (e.g., physical setting parameters). Notwithstanding, all of memory is memory of our own mental activity. That is, what is remembered is our processing of external events in the environment, not the events themselves (Siegler, 2004). 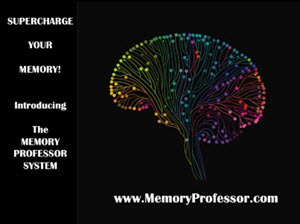 The current zeitgeist holds that "memory" is an overall descriptor for multiple memory types and that several neurobiological systems underlie them (Eichenbaum, 2001; Schacter, 2000; Squire, 2004). One major type of memory is known as declarative (or explicit) memory, which refers to the capacity to consciously recall facts and events. Declarative memory is typically divided into semantic memory (i.e., facts about the world) and episodic memory (i.e., the capacity to reexperience an event in the context in which it originally occurred; Tulving, 1983). This type of memory, which is representational in that the memories model the external world—whether it be true or false, is the kind that is impaired in amnesia, and is dependent on structures in the medial temporal lobe and midline diencephalon. Laterally, semantic recall is centered more on left hippocampal activation, whereas autobiographical recall is more right-lateralized (Wheeler, Stuss, & Tulving, 1997). Nondeclarative memory, on the other hand, is an umbrella term referring to several additional memory systems (Schacter & Tulving, 1994; Squire & Zola-Morgan, 1988). In contrast, nondeclarative memory is dispositional and nonreportable, involves multiple acquisition trials, is expressed through performance rather than recollection, is neither true nor false, and may not involve the self. At an elementary level, associative learning represents this type of memory. In fact, neurobiological studies of Pavlovian conditioning illustrate that at least three disparate memory systems are engaged: (1) a sensorimotor system that depends on cerebellar circuitry, (2) an affective system that is intimately tied to amygdala circuitry, and (3) a cognitive system that is dependent on the hippocampus (Stanton, 2000). Regardless of the true number, the various memory systems operate in parallel to support behavior. With human developmental studies, declarative and nondeclarative memories have been shown to be distinguishable early in life (Nelson & Carver, 1998; Nelson & Webb, 2003). The emergence of declarative memory coincides with the maturation of the medial temporal lobe, which includes the hippocampus and the orbitofrontal cortex (Kelley et al., 1998; Mishkin, Suzuki, Gadian, & Vargha-Khadem, 1997; Mishkin, Vargha-Khadem, & Gadian, 1998; Perner & Ruffman, 1995). Specifically in infants, this type of memory largely reflects response to novelty, which is subserved by the hippocampus (Bachevalier, Brickson, & Hagger, 1993; Zola et al., 2000). After the first year, the inferotemporal and rhinal cortices improve their connectivity with the hippocampus, which allows for greater proficiency in more demanding memory tasks as well as longer retention intervals (Nelson & Webb, 2003). Moreover, Bachevalier and Vargha-Khadem (2005) have proposed that the hippocampus processes the encoding and retrieval of context-rich episodes and events while the perirhinal and entorhinal cortices underlie the formation of context-free cognitive memories. Historically, nondeclarative memory has been presumed to be functional at an earlier age and to have a different developmental trajectory than declarative memory. In humans, a visual-perceptual representation system appears to be functional by 4 months of age and allows infants to notice perceptual similarities across time (Nelson & Webb, 2003). Even at birth, infants seem guided by rule-based behavior and early on demonstrate various motor, perceptual, and cognitive skills (DiGiulio, Seidenberg, O'Leary, & Raz, 1994). Both of these systems mature across several developmental stages as contingencies become more complex and motor tasks are more demanding. We have speculated that the underpinning neurobiological process is a refinement of neural connections via syn-aptic elimination/pruning (Andersen, Thompson, Rutstein, Hostetter, & Teicher, 2000; Teicher, Andersen, & Hostetter, 1995). Motorically, the affected brain areas would include the striatum and cerebellum. In addition, improvements in working memory would allow for behavior to be governed by more complex rule-based contingencies and for predicting possible outcomes of such responding (Nelson & Webb, 2003). The dor-solateral prefrontal cortex has been implicated as the neural substrate of working memory (Andreasen et al., 1995; Arnsten, 2000). Because rules for behavior are often made and upheld by adult authority figures (e.g., parents, teachers), a better understanding of socialization practices and the social environment where children's memory skills emerge and become consolidated is needed (Ornstein & Haden, 2001; Ornstein, Haden, & Hedrick, 2004).